This year, the FBI appears to have for the first time overlooked a reporting obligation established by the US Attorney General’s office, and in doing so, the bureau appears to have greatly lowballed the total number of times it authorized confidential informants to engage in criminal activity last year. Update: FBI tells Gizmodo that its 2016 OIA report contained an unintended omission, and that revised data will be sent to DOJ as soon as possible. Read FBI’s entire statement below. Each year, the FBI Directorate of Intelligence compiles a report on what the US Justice Department calls “otherwise illegal activity” (OIA)—activity FBI informants are involved in that would otherwise be illegal, had the FBI not given them permission to do it. There are some crimes the FBI is forbidden from authorizing. Those include: acts of violence and obstruction of justice (i.e., witness tampering, entrapment, fabrication of evidence). Its informants are also prohibited from “initiating or instigating” a plan to commit a crime. Otherwise, authorized informants may engage in criminal activity to maintain cover and provide the bureau with intelligence on other, presumably worse criminals, so long as certain protocols are observed. These OIA reports are traditionally drafted between January and March each year. The yearly average of otherwise illegal activities reported between 2011 and 2015 is around 5,600. In 2012, the number peaked at 5,939. The lowest number was in 2015, when the FBI reported only 5,261 authorizations for criminal activity, according to new records obtained by Gizmodo under the Freedom of Information Act. The authorizations for OIA must be renewed every three months, so technically it’s possible each individual authorization covers a multitude of criminal acts. In other words, the figures don’t actually represent crimes, but 90-day windows in which informants are allowed to break the law. The 2016 report, which was compiled by the assistant director of the FBI Intelligence Directorate, appears wildly inaccurate at first blush. The number of authorizations for criminal activity reported to the Justice Department this March was only 381. If you selected “something’s not right here,” you are correct. 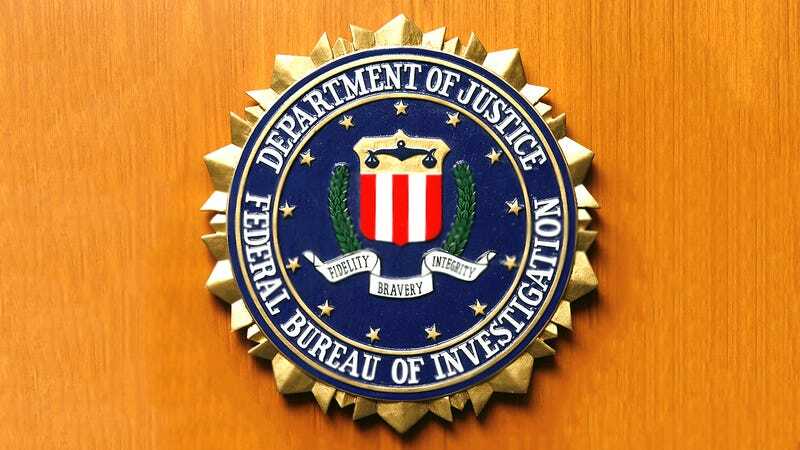 It turns out the FBI failed to report an entire tier’s worth of criminal activity, thereby significantly reducing the overall number of authorized crimes it reported. That’s about a 93 percent drop in the OIA total. Authorized crimes by informants are divided into what the FBI calls “tiers.” Tier 1 activities are more serious types of crimes, importing huge amounts of heroin for instance; whereas Tier 2 includes basically everything else, down to shoplifting. Most of the time, we can’t tell the difference between the two. For reporting purposes, Tier 1 and 2 criminal activity is usually bundled into a single total. And that means that in 2015 the FBI may have authorized its informants to commit 5,261 misdemeanors for all we know. But this year, something different happened. Tier 2 wasn’t included. And now we know that in 2016, at least 381 times, the FBI authorized its informants to engage in some really serious criminal activity. Whether that was commissioning an act of violence by another person or manufacturing a truckload of cocaine, we can’t be sure. So, how did this happen exactly? Was it a clerical error or did the FBI do this on purpose? Did the Attorney General’s office issue new guidelines? We’re not entirely sure. The Justice Department declined to comment, even though it sets the rules and, by all appearances, its National Security Division was robbed of an important statistic. The FBI told Gizmodo on Monday that it was working on an answer. We’ll update if we get one.